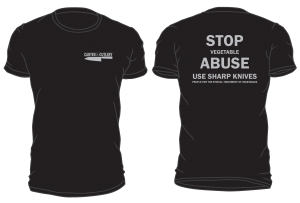 We now have t-shirts sporting the new redesigned logo including the Mitsuboshi “three star” symbol seen on Murray’s knives. 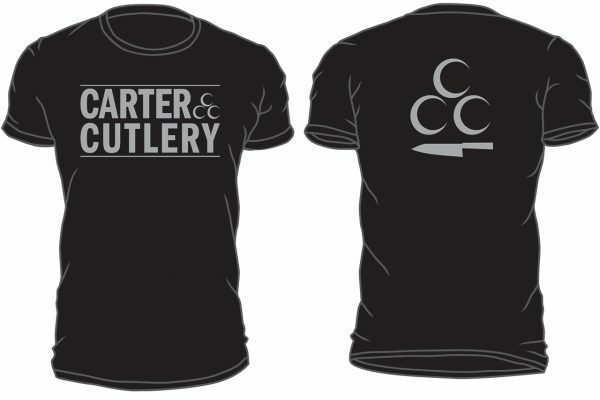 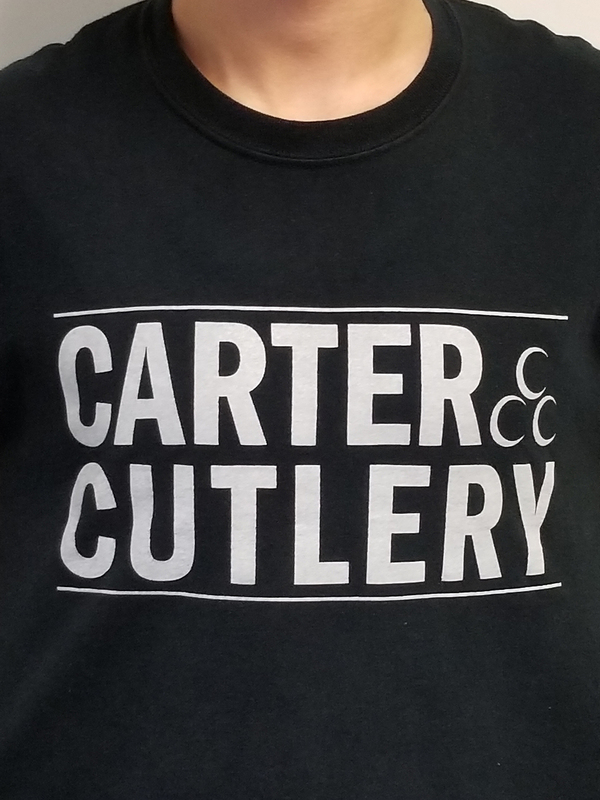 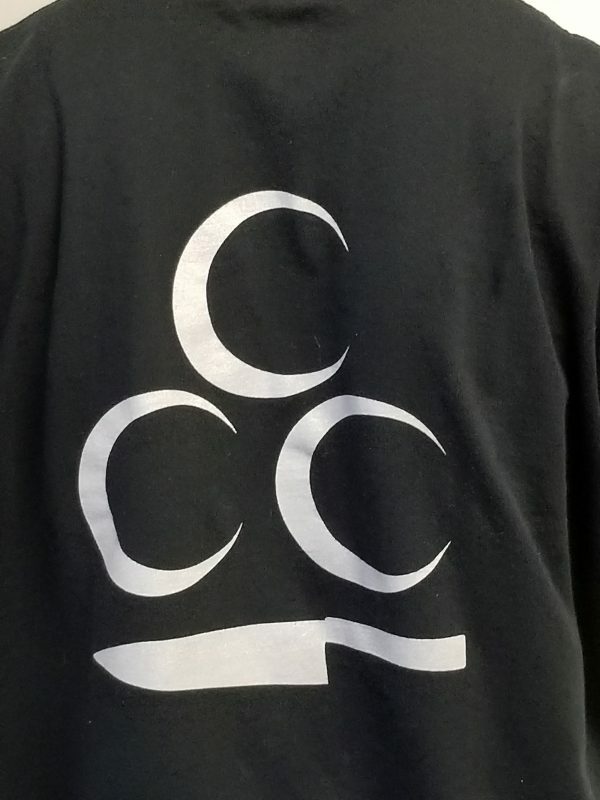 With “Carter Cutlery” written boldly on the front and a kitchen knife shown on the back, there will be little confusion on what we stands for. 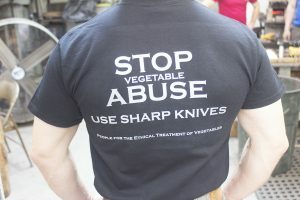 Be a part of the team! Available in small, medium, large, and extra large.